TriMet’s Hillsboro MAX Improvements are underway in Downtown Hillsboro, with crews completing much of the work before a 15-day disruption to MAX Blue Line service in October. During the next seven weeks, crews will revitalize the MAX system through Downtown Hillsboro, replacing rail, upgrading track materials, installing new switch machines and sprucing up stations. The work will improve the reliability and resiliency of the MAX system. It also will improve the experience for our riders while benefitting pedestrians, cyclists and autos at rail crossings. To complete the improvements, crews need to close some streets and lanes starting today, Monday, Sept. 17, and the MAX Blue Line will be disrupted from Saturday, Oct. 13 through Saturday, Oct. 27, for the bulk of the work. While this is one of the most complex projects we’ve done to rejuvenate the MAX system, it will have much less of an impact on riders than past projects. 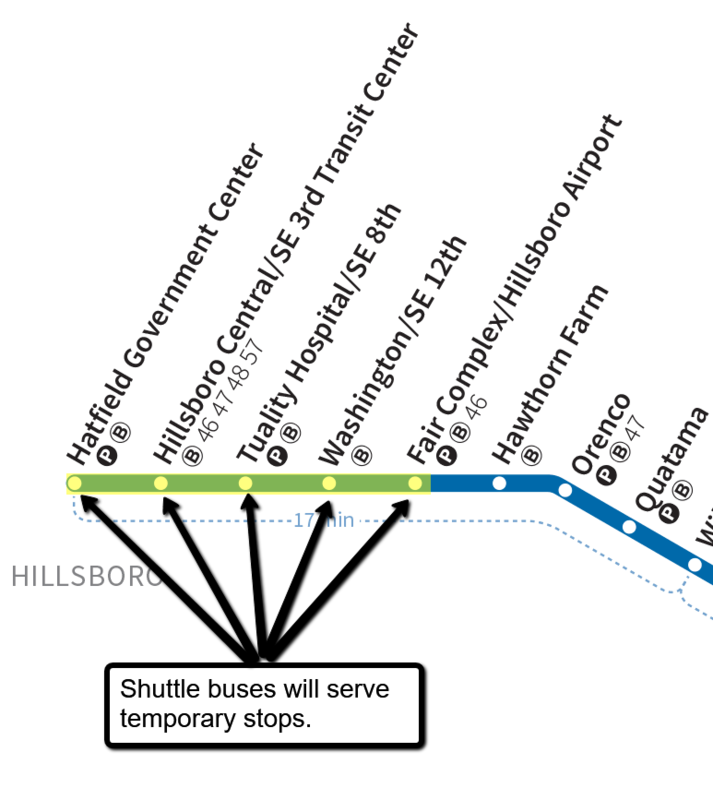 The Hillsboro MAX Improvements will stretch across an area about one mile long. The project will replace and upgrade rail and switches installed as part of the Westside Light Rail Project that opened in 1998. After more than 20 years of wear and tear, they’re reaching the end of their useful lifespan. Crews actually jump-started the project with preliminary work completed in the trackway last week that did not affect train or auto traffic. This project requires more extensive demolition of the concrete around the existing rails than other MAX improvement projects we’ve done. A large portion of the track we’re replacing is a complex network of rail called a ‘double crossover’ that allows trains to change from one set of tracks to another. It’s embedded in concrete so crews will have to dig two feet down into the trackway to remove them. In addition to replacing that special track work, we will replace the curved rail into the Hatfield Government Center Station. 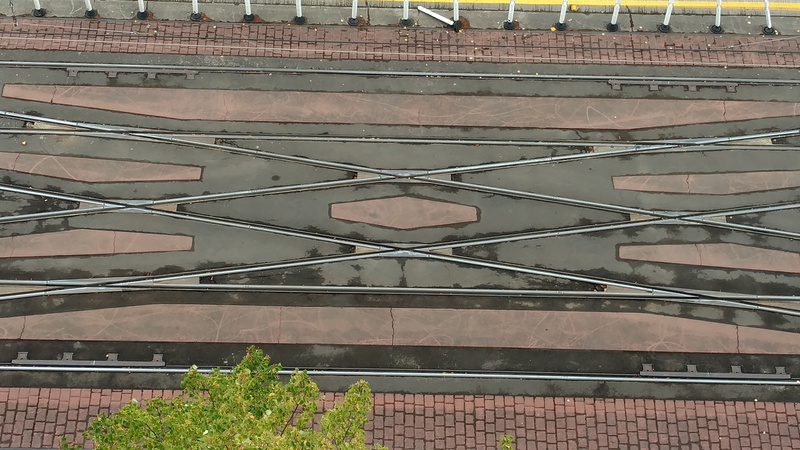 The five electrical switches near the station, the end of the MAX Blue Line, control which set of tracks trains run on. We’re upgrading them with newer versions that also have improved heating technology to keep them operating smoothly in cold weather. We’ll also be upgrading equipment for the signal system and improving the track bed and the roadway near the rails at three rail crossings. When we put the new rails back in, we’re going to use a new way of anchoring them to the concrete that’s more durable and faster to install, minimizing service disruption during the project. Four MAX stations will be closing during the service disruption. We’ll take advantage of that and replace the white, bumpy safety tiles that alert riders to the edge of the platforms. 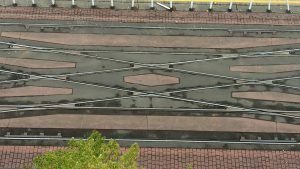 TriMet crews also will do some maintenance and clean the stations from top to bottom. While the Hillsboro MAX Improvements will involve more work than other projects, it will have less impact on riders than past projects. Saturday, Oct. 13 through Saturday, Oct. 27, the MAX Blue Line will end at the Fair Complex/Hillsboro Airport MAX Station. Shuttle buses will serve stations between Fair Complex and Hatfield Government Center. Riders should plan an extra 15 minutes for trips through the area. The shuttle buses will be timed to coincide with trains arriving and leaving the Fair Complex station as much as possible. Also, MAX trains will continue to run with the same frequency as today. Riders who need help during the closure can reach TriMet’s Rider Support team online at trimet.org/contact, via twitter at @trimethelp, or by calling 503-238-7433 (RIDE) to get help seven days a week between 7:30 a.m. and 5:30 p.m. They can also text to customer service representatives 24 hours a day at 503-238-7433. 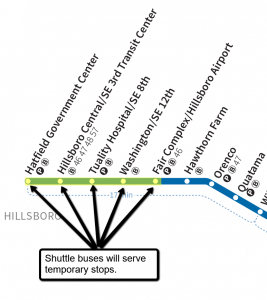 The Hillsboro MAX Improvements is just the latest project to make transit better. 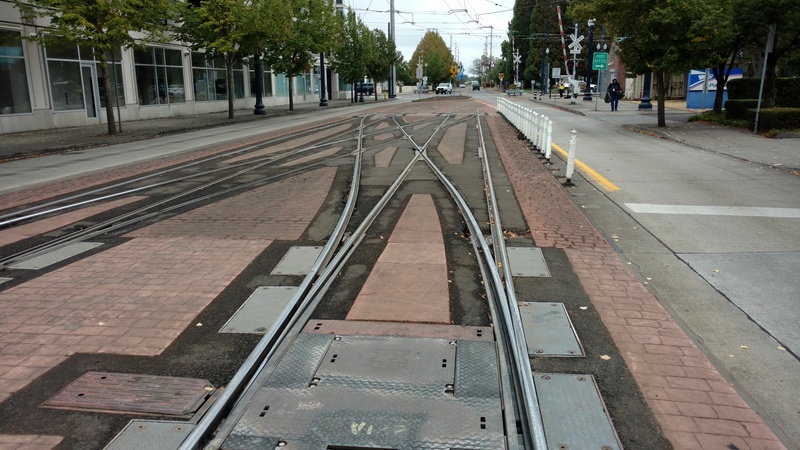 In 2016 and 2017, we completed major track, rail and switch improvements on SW Morrison and Yamhill streets at SW 11th Avenue, along 1st Avenue in Portland City Center and at the Rose Quarter Transit Center, a project that improved the signal system and adjusted the track alignment going into the transit center as well. In May, 2018, we completed similar improvements in the Providence Park area. We appreciate your patience and understanding as we work to improve the MAX system and your ride.